I am beyond thrilled to introduce a new feature on the blog! Having been doing this for a few years now, I have met some pretty amazing and talented people that help to make your wedding day vision come to life. On the other hand, there are still a lot of people that I want to meet and get to know a bit better. These are people that inspire me in some way, and whose work I truly admire. I want you to meet them as well, and hopefully you may find your next florist, planner, baker etc in this batch. At the very least, you may find some inspiration and some eye candy to enjoy. 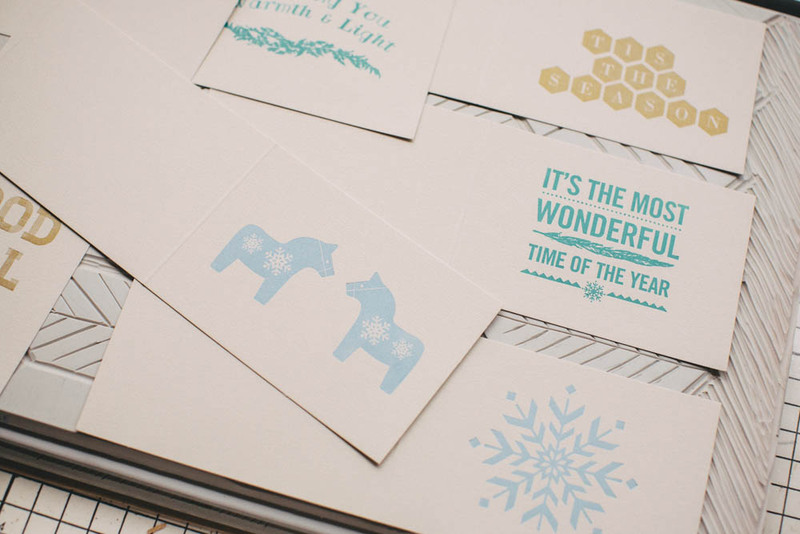 I would love to start things off with Tanya from Snap and Tumble letterpress. 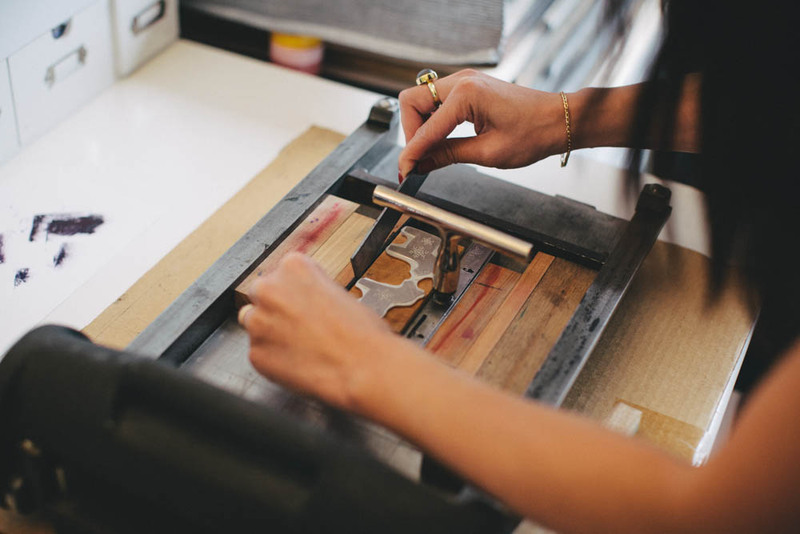 I have been a fan of Tanya's for some time now, and a meeting long eluded us, until recently she invited me, along with Yen to sample her holiday print making workshop. To say I was excited is an understatement!! I get to print some holiday cards, as well as finally meet this lovely lady!! Sign me up!! Below are some snaps from our workshop. If you are interested in the workshop, I do believe Tanya has a few more spots available before the rush. Please enjoy the photos, and make sure to read Tanya's responses to my three questions posed to all the various vendors (below the photos). If you have a favourite vendor that you'd like to see on here, I want to hear all about it!!! It all started six years ago when I found a letterpress printed card in a stationery store. I hadn’t seen anything like it before. The cardstock was textured, the image and copy were pressed into the paper and the ink was rich and deep in colour. It outshined any other card on display. I had to find out how that card was made. It wasn’t long after that when I got my first press and dived right into the finer points of printing. 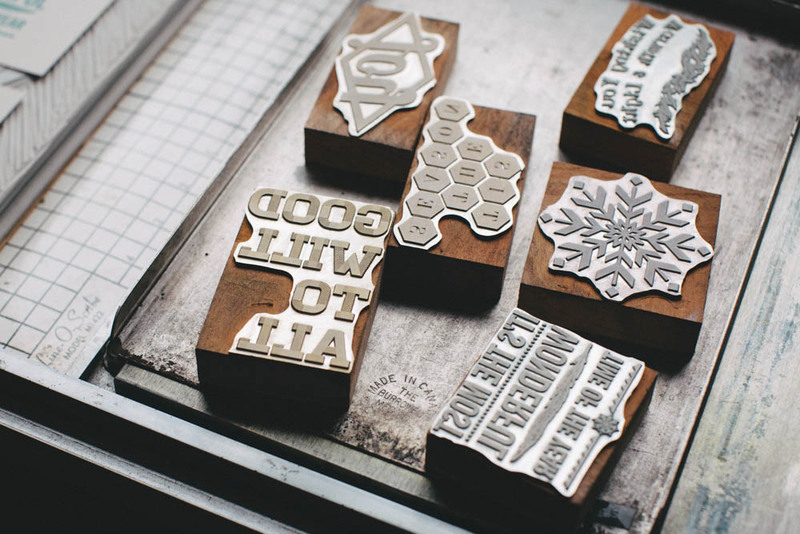 When I sought out letterpress printing, it wasn’t intended to turn into a business. It was based on curiosity and what I found was, my passion. A business grew almost immediately after having participated in my first craft show. From there, my paper goods were picked up by consignments stores and inquiries about social stationery started to trickle in. Even at that point, I did very little marketing and networking as a full fledged business might do. I was fortunate to have printed for some very nice folks who were keen about the kind of work I was producing and sent referrals my way. In fact, that’s still how I prefer to acquire commission work. Working for friends and friends of friends – it’s just a nice way to do business. 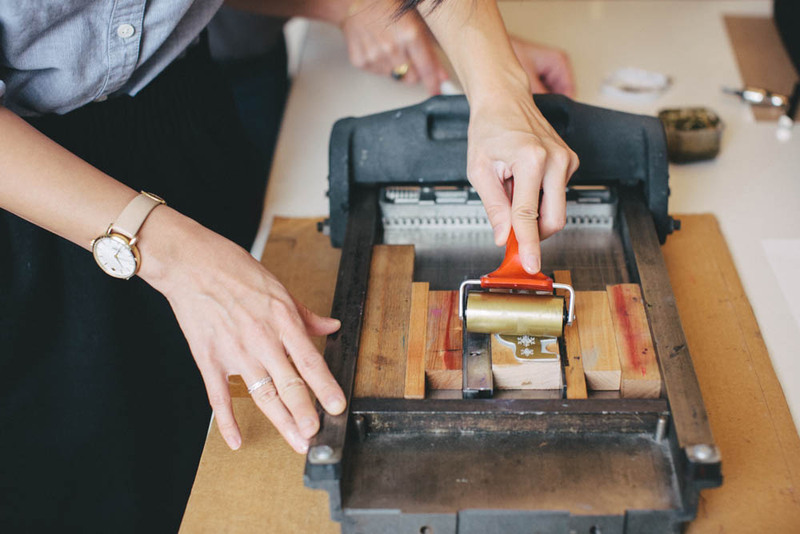 And at the centre of it all, letterpress printing is something I’m passionate about and get to be in on a daily basis. I’m inspired by people who create things, by those who love what they do and are good at it. I’m also inspired by people who just go for it and make relentlessly and by those who own their own style. 3. Can you give one piece of advice to a potential client? Trust your stationer and designer. Trust their skills in their craft. Thank you so much Tanya for including me in the workshop and for wanting to be a part of my new adventure here on the blog! !